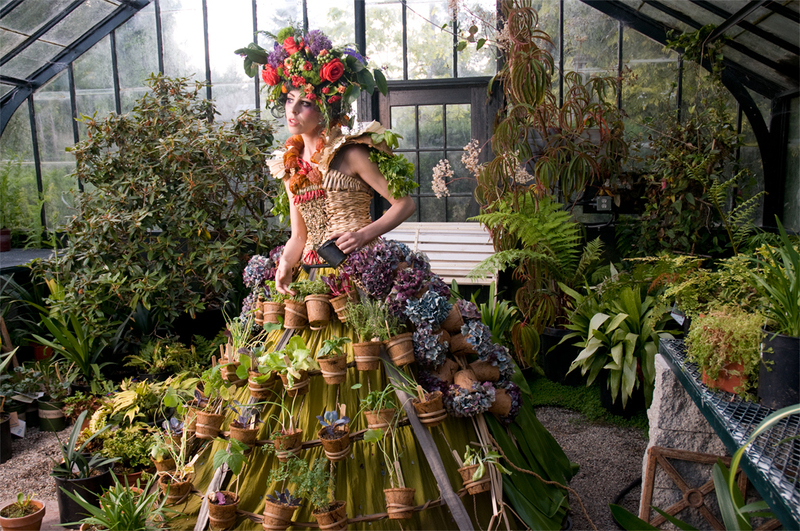 The Mobile Garden Dress is based on a hoop skirt that supports over forty potted edible plants. 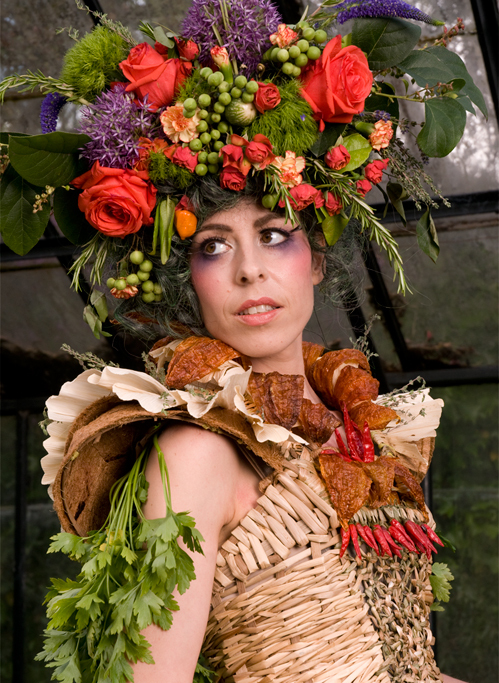 Madame Jardin wears an elaborate headpiece of edible flowers. Her bustier is woven with Tule, Cattail and basketry reed. 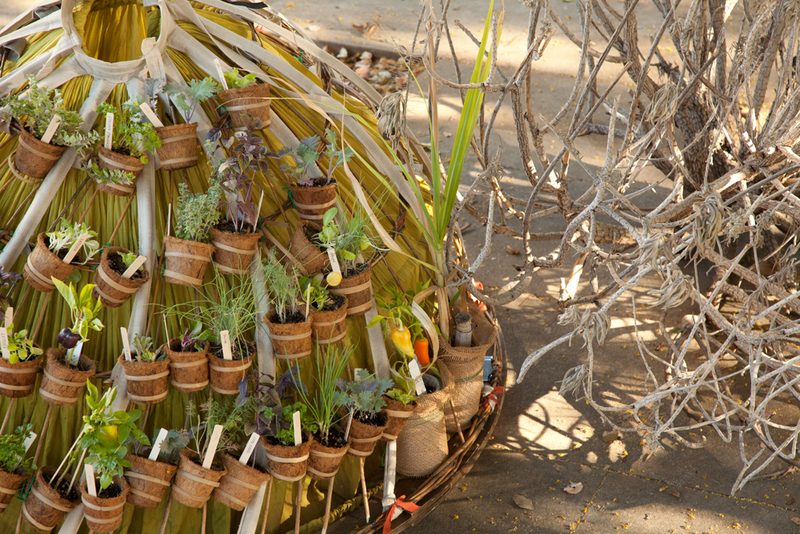 The collar is made from Peruvian Chilies, Corn Husks and Coconut Pots with a dash of Cilantro. 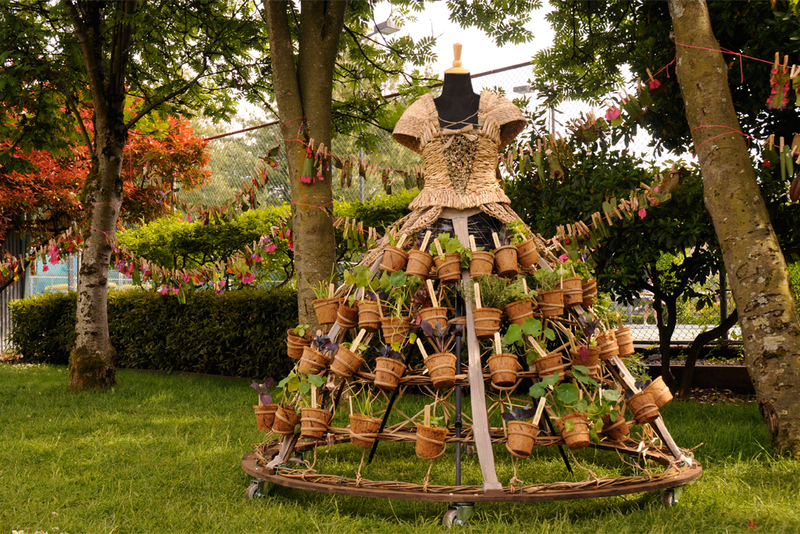 The Mobile Garden Dress installed at the Children’s Festival. In the background hangs the Eco-Fashion Clothesline made by local children attending the festival. 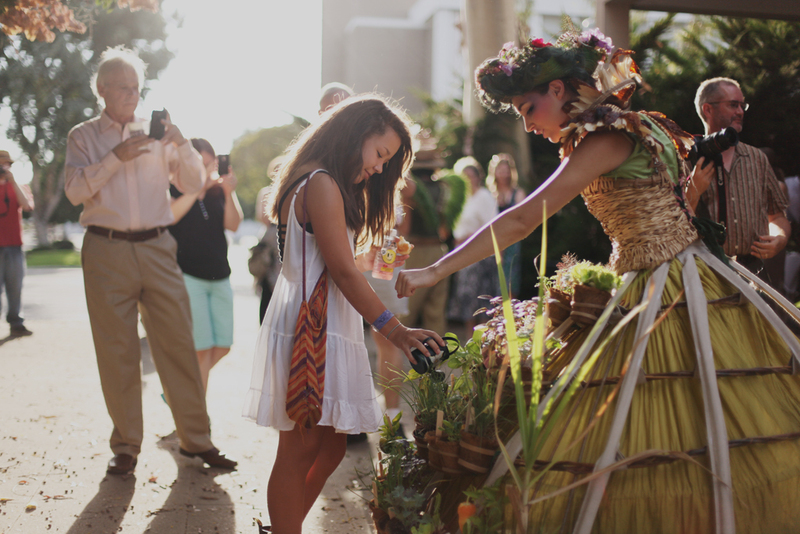 The dress also acts as an educational tool for plant identification. 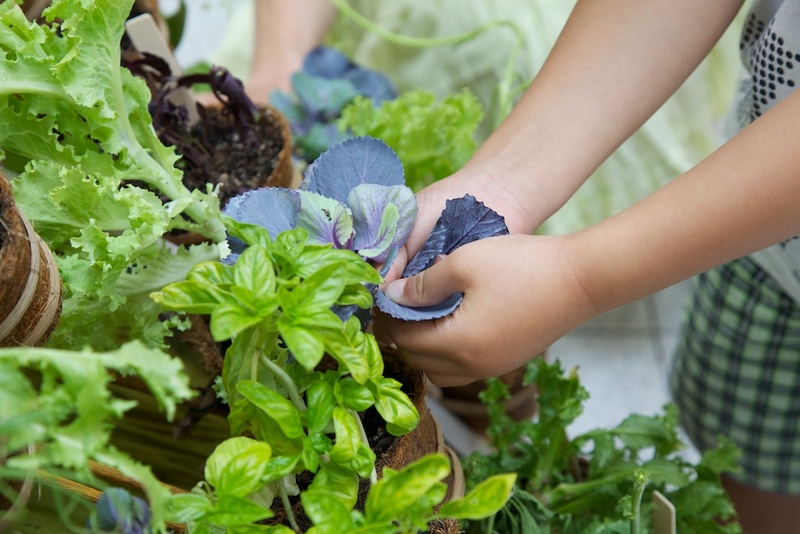 A wide variety of plants are incorporated dependent on the season and the locale but usually include lettuces, cabbages, tomatoes, peppers and herbs. 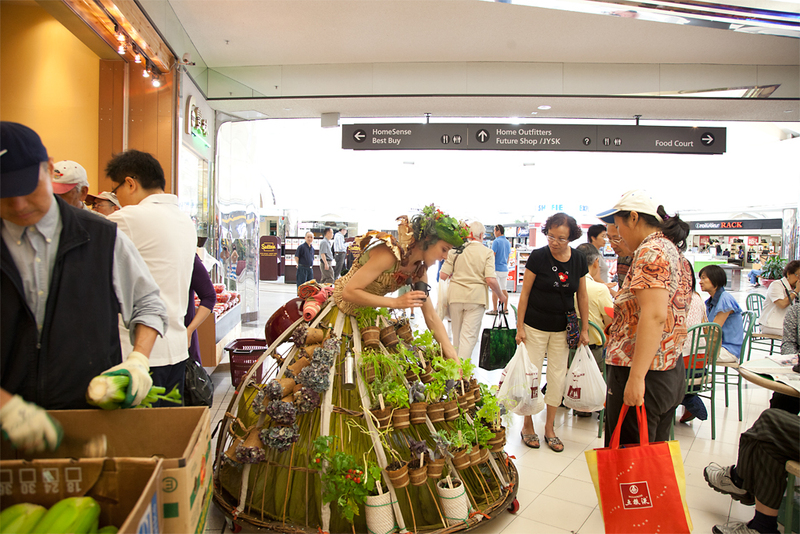 The Mobile Garden Dress seen here in a shopping mall interacting with shoppers. Madame Jardin makes a salad from the ingredients in her dress and she often gets the public to help her pick the ingredients from her skirt. 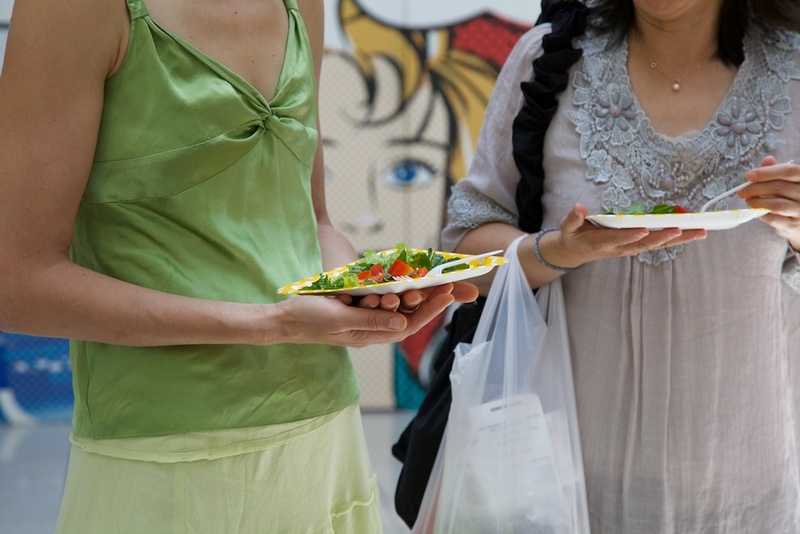 A salad was prepared and shared with the public. 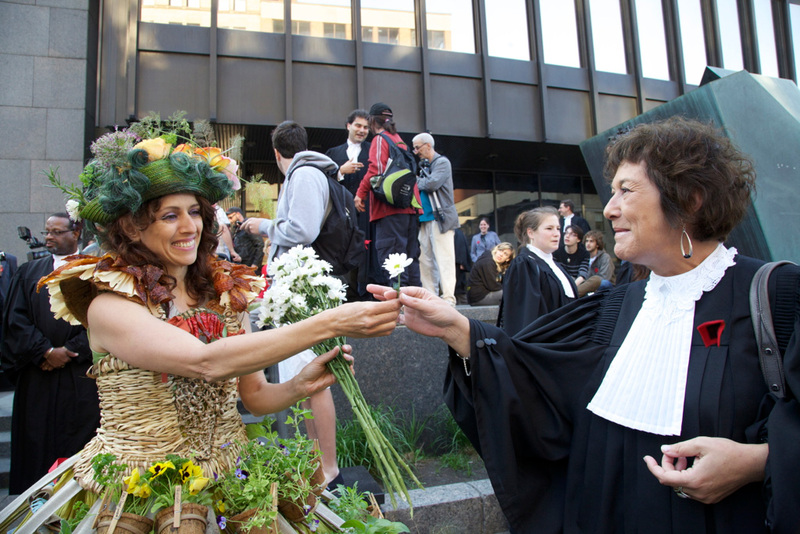 In Montreal, Madame Jardin joined a group of lawyers protesting against the Bill 78. She handed them daisies to show her support. The skirt acts as a summer shelter, where one can camp temporarily in urban areas. Like a true nomad, her camp can be quickly transformed; her hoop skirt collapses into a lightweight framework, her organic cotton tent fabric becomes an elegant dress and all her belongings fit onto her wheeled structure. 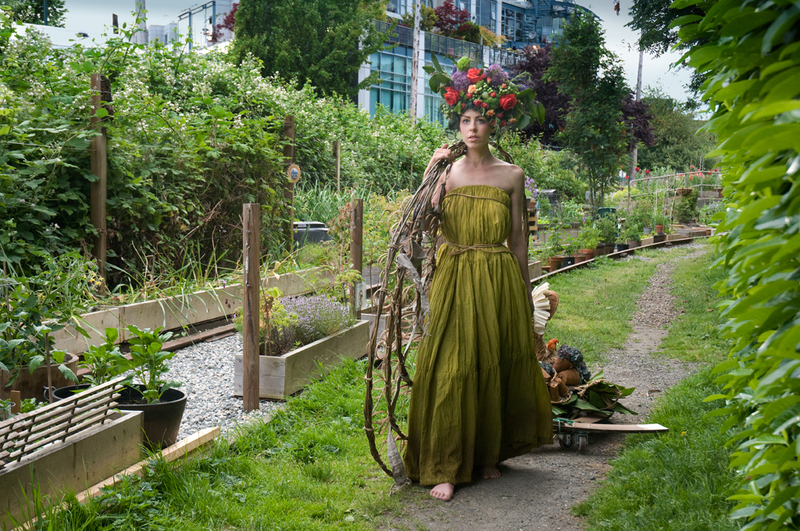 The Mobile Garden Dress is a self-sustaining garden and flexible shelter for the new urban nomad, complete with pots of edible plants and a hoop skirt, which converts into a tent at night. 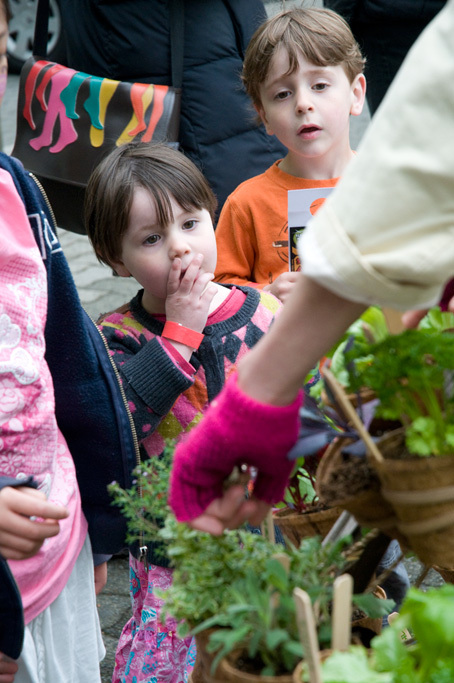 As the wearer roams the city, the compostable and recyclable garment also functions as interactive tool to engage people of all ages in conversations about plants, gardens and sustainability.